Have you been considering purchasing a new hybrid car to cut down on your fuel costs and your carbon footprint? 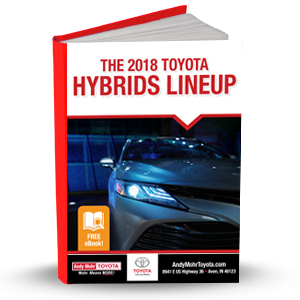 Well, then you’ll definitely want to check out the 2018 Toyota hybrid lineup. These vehicles have so much more to offer than just fuel consciousness. In each, you’ll find great amenities, safety features, and handling. Learn all about them by downloading this FREE eBook today!